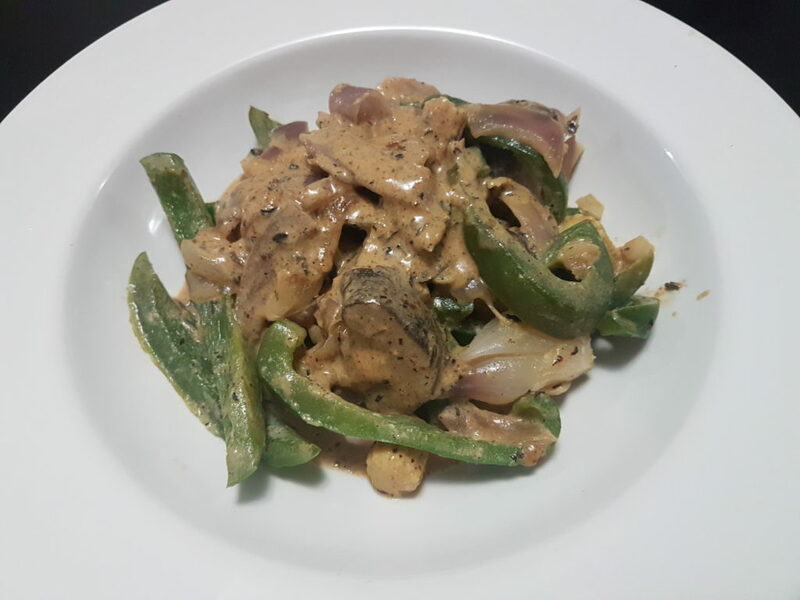 A creamy recipe with veggies tossed creamy sauce with the flavour of Cajun spice and garlic. Watch the video for a better learning. Take the pan and put oil in it on medium flame. Add the sliced onions and sauté. After that add the capsicum and garlic, toss well for 2-3 minutes. Add salt. Add the mushrooms and the corns and again toss for 2-3 minutes. Now add the Cajun spice, black pepper and oregano and mix well. Add the full cream milk in the pan and cook for 10 minutes until the milk is reduced to half and there is a sauce consistency. Adjust the seasoning and sprinkle dry parsley.